Monday, June 17, 2019 - 6:00 p.m. to 9:00 p.m.
Wednesday, June 19, 2019 - 6:00 p.m. to 9:00 p.m.
Monday, June 24, 2019 - 6:00 p.m. to 9:00 p.m.
Wednesday, June 26, 2019 - 6:00 p.m. to 9:00 p.m.
Butterflies are beautiful; almost everyone can agree on that. But have you ever looked really closely at a butterfly? 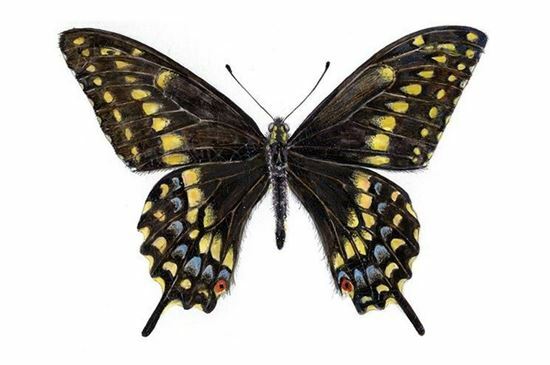 Join Marjorie Leggitt, an award-winning illustrator, as she leads you through the steps to create a realistic, larger-than-life, mixed-media butterfly illustration. This all-levels art workshop starts with an overview of butterflies by Dr. Frank Krell, curator of entomology. Then, select a Colorado butterfly from the Museum’s education collections for your project. Leggitt will describe the importance of close observation and teach simple math skills to help you measure and duplicate wing patterns. Learn how to mix and layer watercolor to build rich, luminous colors, and discover the secret to creating light and iridescence, and colored pencil tricks that build texture and details. Materials provided. All sales are final unless the Museum cancels the program.